The Lauren Sport is perfect for stylish women on the move. Whether you’re commuting to the office or getting away for the weekend, you’re ready for any adventure with the Lauren Sport. Inspired by the confident spirit of style icon, Lauren Hutton, this versatile bag can be worn as a backpack or a tote. Made from 100% vegan materials, its classic styling, functional details, and intuitive design demonstrate timeless beauty. Read more..
For the working woman, mom, student, athlete, traveler, fashionista and everything in between, the Lauren Sport bag is versatile, durable, and well made. Active women love its ability to transform from a chic backpack into a classy, carry-all tote bag in seconds. There’s space for all of life’s necessities from day to night. 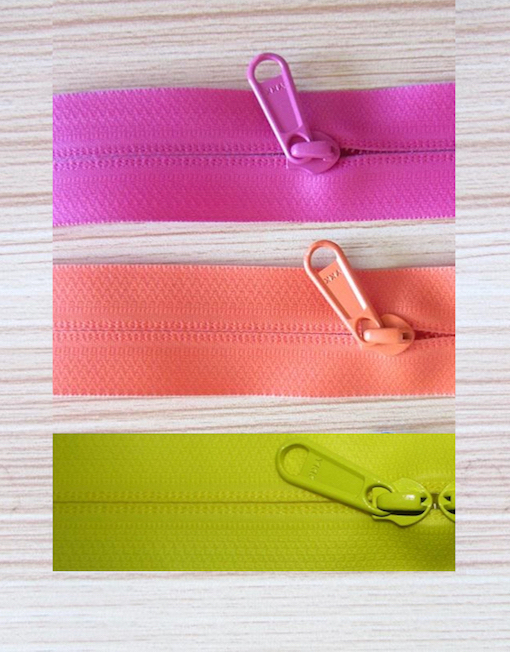 Made from weatherproof, lightweight polyester and YKK water repellent zippers in high visibility colors. 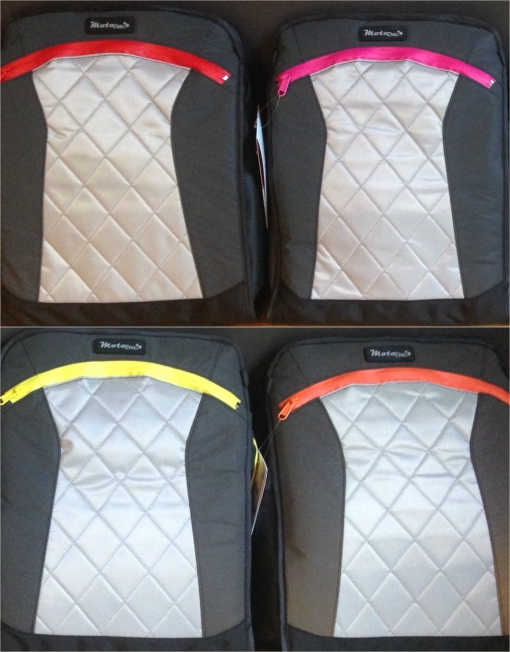 Bottom reinforced with 1000 denier polyester. Water resistant signature moto lining protects against spills and stains. Absolutely LOVE this bag. It truly is the perfect accessory for traveling by motorcycle. 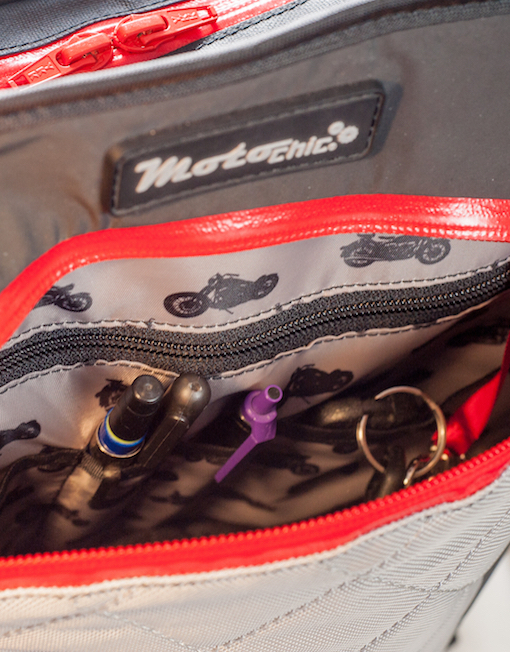 The pockets help you organize. The lining is a light colour making it easier to search for things and the light inside is a wonderful accessory. The one thing that would make it even better is to have straps to attach it to a sissy bar. 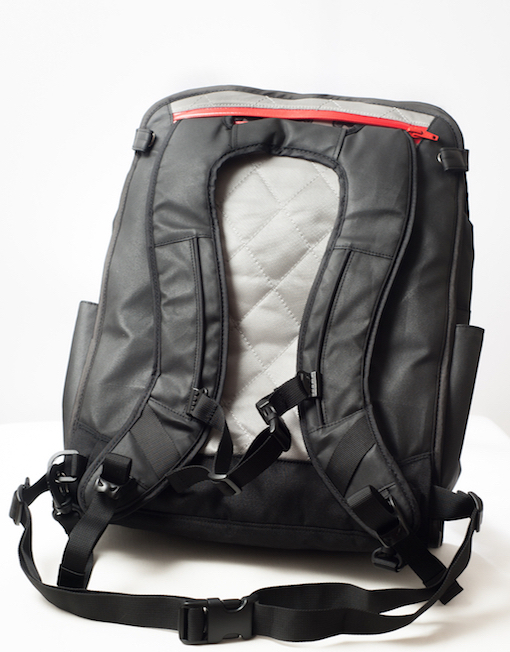 Other than that, it is a comfortable backpack model for traveling cafe racers. LOVE the changes! Especially the weight and the STRAPS! Very comfortable and the option to customize it a bit is AWESOME. My fav bag!!! ??❤️?? Perfect for my commute to work and weekend trips. Roomy enough to store gear, laptop & leftovers while being stylish. Very comfortable to wear as back pack & easily transforms into a tote. Great size, not too cumbersome, very well designed. Can’t imagine The Lauren Sport not in my life. Love, Love, Love this bag! It is so versatile and accessible! 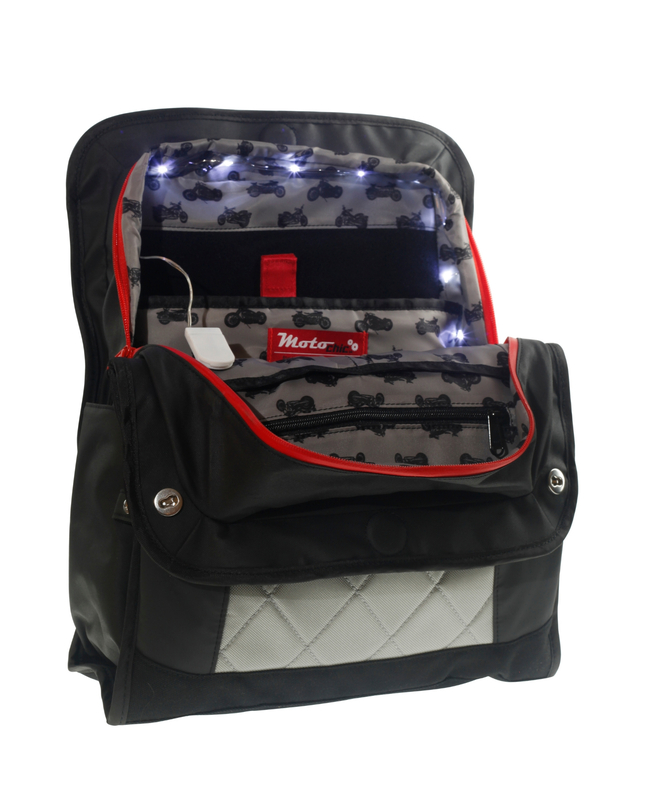 My faves about this bag are that it’s water resistant, tons of pockets to keep me organized and the light inside! Sweetness! It’s fashionable and easily packed for a long weekend! I would definitely recommend this bag! 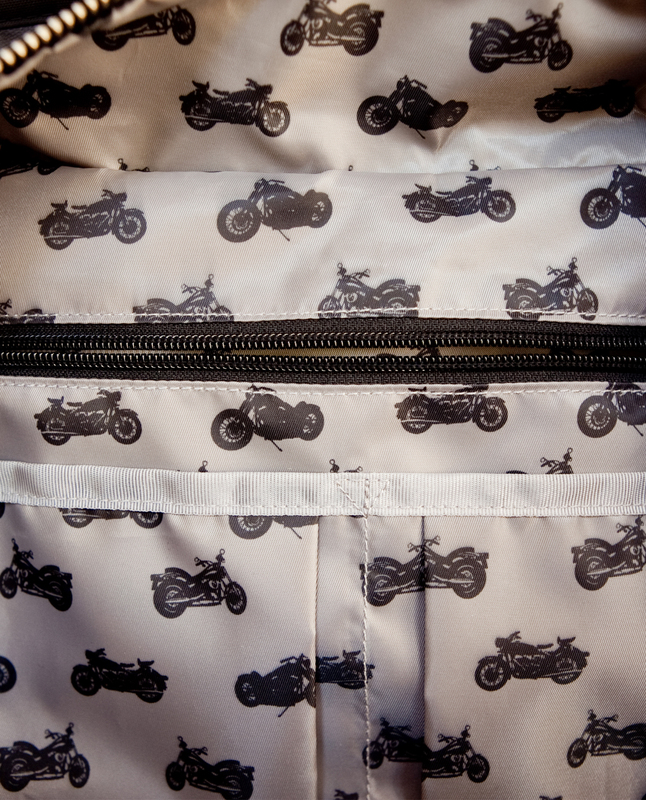 It’s perfect for any motorcyclist who wants to harmonize practical and chic, therefore the name! When it comes to backpacks, I am a hard critic, specifically because I usually beat the crap out of them. As a motorcyclist, avid traveler and adventure addict, my backpacks come with me everywhere. When I got my hands on the Lauren Sport Bag, I was pleasantly surprised at how well-designed it was. The size is good for me (5’11 height, athletic build) and it’s held up well given the circumstances I’ve put it through. There is this little light that comes in the backpack which I’ve found to be extremely helpful on many occasions. 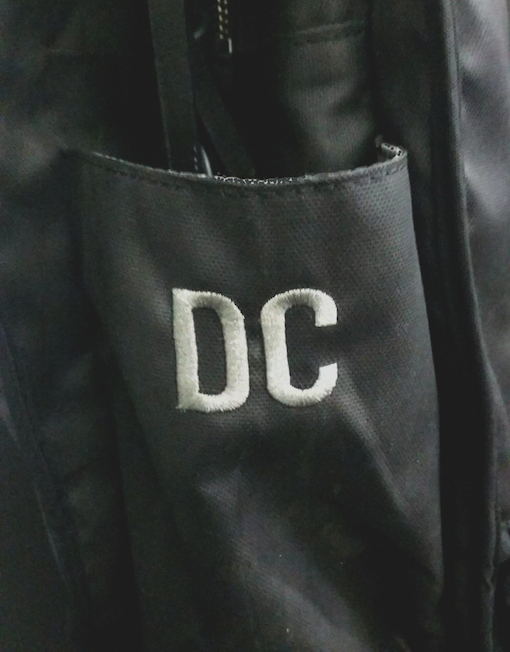 The backpack in general provides a lot of pockets which is great for keeping organized, and I LOVE that I can interchange the straps from backpack to side bag. Super useful! We've come a long way, baby. Follow our exceptional journey.